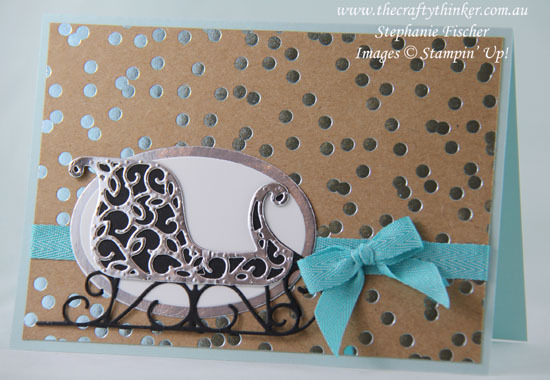 These cards came about because I had one of the sleigh elements left over from making these earring gift cards. 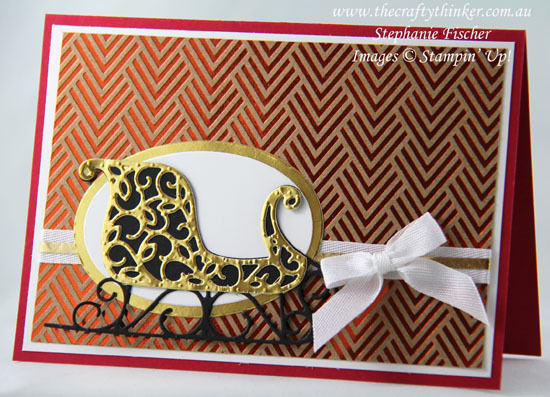 The Foil Frenzy matches the opulence of the metallic sleigh without going too over the top! Adhering some Multipurpose Adhesive Sheet to the back of the foil sheets before die cutting with that detailed sleigh thinlit makes it sooo easy to stick to the under layer of the sleigh!